Three weeks!? It’s been that long since I’ve blogged!? Wow… I’m so sorry, but not because that I haven’t blogged but because that means I haven’t had ten minutes to sit! I’ve been so crazy busy with life – total college/adult life! I’m busy with my RA job, school, my church calling, friends, and life in general. That’s a good thing though, right? 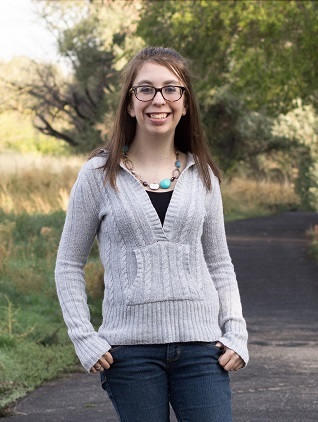 I just wanted to take a quick minute (okay maybe like an hour) to write down my adventures, thoughts, inspirations I had during General Conference last week. Twice a year, members of the church (LDS) gather together to listen to the teachings and testimonies of our leaders. It’s probably one of my favorite times of the year. I’m so grateful that it happens twice! General Conference has a very special place in my heart. I walk away from the weekend feeling refreshed, loved, and kind of on a spiritual high! This was the first conference a bunch of us weren’t going to be with our families so Brad had invited a bunch of people over to his new ghetto house for breakfast and a place to watch General Conference. I wanted to go, so the next morning I jumped on the Trax. He had told me that I needed to get on the green line for six stops and he would be there to take me the rest of the way. Me: On the green line! Hopefully I don’t get lost!! Him: Just hop off at the stop right before the airport. Make sure it’s heading over the bridge. If it’s going toward the temple, it’s the wrong direction. M: Well, I’m at the courthouse. Definitely the wrong direction. Getting off and getting on the RIGHT one. M: DUDE! There are two green lines. Next time specify which direction the line goes! Haha! I’ll be there in like 15 minutes. I met him and Jacob at the stop to go to their house. It’s actually super cute. I was impressed. We had breakfast, watched Conference, and laughed. Halfway through the first session, a bunch more friends showed up. After it was over, we met more friends for a picnic lunch. We listened to part of the second session outside on our picnic but we ended up getting rained out so we went back to the boys’ house for the last bit. After the second session was over, we played games, ate food, and laughed. It was great fun. 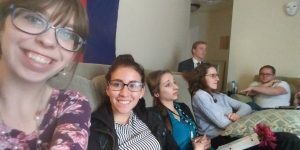 About 5, we discussed what the girls were going to do while the boys watched the Priesthood session – the options were: go home but come back later, stay there and either watch it too or figure out something to do while they watched it. Some people had to leave so it was me, Gillian, Liahona, Brad, and Jacob left. When six o’clock rolled around, the girls banished the boys to the living room. We had been in the middle of Catan, so we swapped out Brad’s pieces for ours and distributed them evenly. After the game, Gillian, Liahona, and I took a Walmart run. While we were there, we also picked up some supplies for Jacob to make donuts the next day. When the boys got done, Liahona went home after a some laughs. With those of us who remained, we all piled on the couches and watched a movie. I thought it was funny that we watched Warm Bodies right after a wonderfully spiritual day of watching General Conference. After it was over, Gillian and I went home. The next morning, Brad came over to our apartment. There were a whole bunch of us gathered in the common room. It was great! Lots of food, friends, and spiritualness. (I know that’s not a word but I just made it one.) When the first session was over, we decided that we wanted to try and get “standby” tickets. Gillian and I were hesitant…but we ended up going. I ran upstairs to change my clothes and we went! Brad and Liahona had met up with some other friends and were way ahead of us in line, Jen and Sariah had gotten tickets so they were already in their seats. Sadly, the other four of us didn’t get in but we went to the Joseph Smith Memorial Building to watch it instead. It was pretty cool! After that, we went back over to Brad’s house for games and the donuts that Jacob had promised. I thought they were yummy but Jacob was mad about they turned out… He’s promised more with his family recipe next time. I am so grateful for how much my Heavenly Father loves me. I’m so blessed to have the friends I have and how they have become my family away from home. I love them so much. I am also so happy to have the influence of the gospel in my life. I know I’d be so lost without it.